Junior committed to speed and reaped the results. There was nothing new about seeing Robbie McKee take to the starting line for the Maranacook Alpine team this year. The junior’s been the Black Bears’ best skier the past two winters. What was different this time, however, was what was going through McKee’s mind as he got ready to go down yet another trail and post yet another high finish. And, as McKee showed this season, productive. 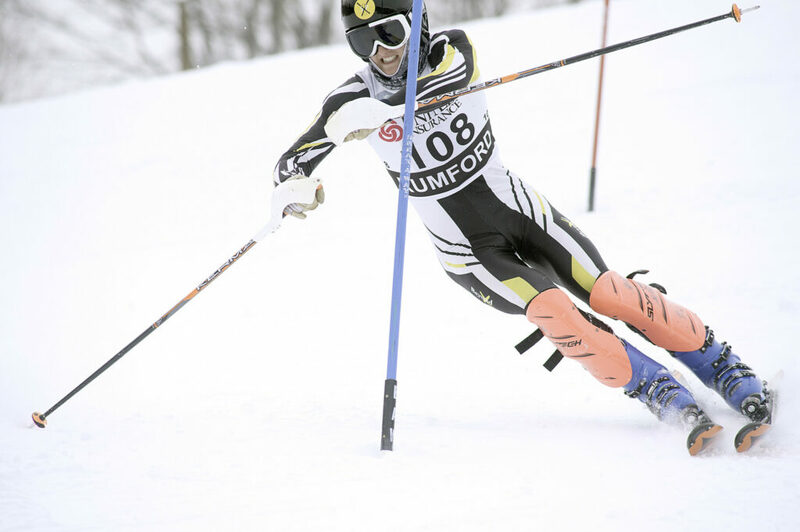 McKee posted top-10 finishes in both Class B Alpine championships at Black Mountain, finishing third in the slalom and eighth in the giant slalom. For his performance, McKee is the Kennebec Journal Boys Alpine Skier of the Year. Winthrop’s Maguire Anuszewski, who won the Mountain Valley Conference slalom and giant slalom titles, was also considered. 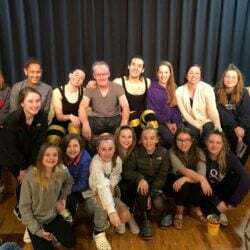 McKee was also the KVAC slalom champion and a fifth-place finisher in the giant slalom, and as good as he was on the slopes, coach Ronn Gifford said he was just as effective in helping to guide Maranacook’s team to a fifth-place finish. On the course, however, McKee had to make a mental adjustment. Gifford knew his junior was talented, but that something was missing before he could reach his potential. McKee noticed the same thing Gifford did. Technique is important, but at the expense of speed, it can only take a skier so far. And the most confident. Skiing with speed requires a different attitude, one free from any doubt or hesitation. McKee had his new approach, and he soon saw the results on the leaderboards. After a slow start that saw him finish outside the top 10 in both of his first two events (despite top-five runs on both days), McKee was in the top 10 in each of his last eight meets. He had the fastest run twice, the second-fastest run five times and won a KVAC giant slalom – his weaker event of the two. At the KVAC championships, he placed fifth in the giant slalom while admittedly holding back to ensure a good team result. But in the slalom, with a chance to beat Mt. Blue’s Eli Yeaton – who had gotten the better of him throughout the regular season – McKee let it rip, laying down the fastest second run to take the overall title. It was a good memory from a good season, but McKee said he’s looking forward to bigger things as a senior.